Now that you installed Nagios you are not done. To get rid of all those pesky errors that pop up once installing Nagios you need to be patient and work through them one by one. Let's address first the most annoying problem of the /root/.gvfs filesystem is "not accessible:Permission denied" You can either unmount the filesystem as a temporary workaround but once you reboot or mount the filesystem again the problem returns. Secondly, you can change permissions of the .gvfs filesystem or my personal favorite is to just ignore the filesystem since I don't use it and we are already monitoring the /root filesystem anyway. 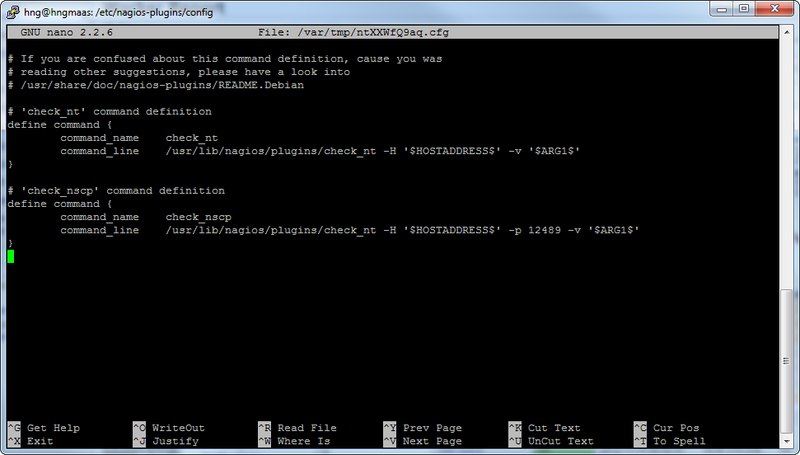 Navigate to /etc/nagios-plugins/config and open the disk.cfg file with your favorite editor. 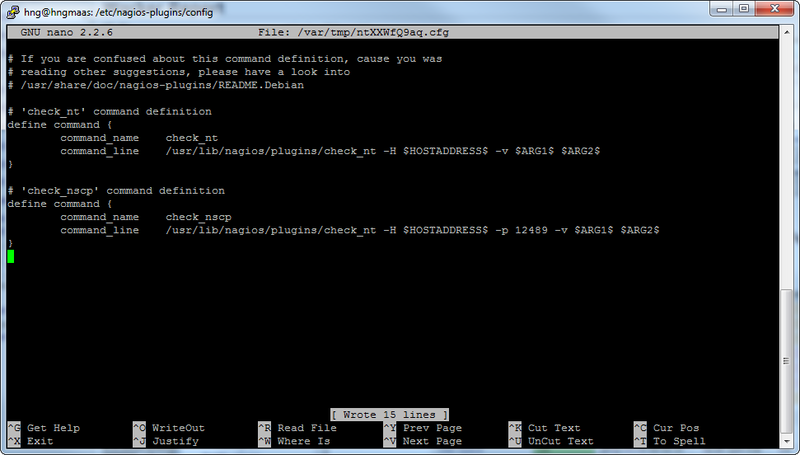 This indicates that there’s something wrong in my nagios configuration files. Depending how impatient you are for the results you can either wait several minutes for the service to recheck each process or you can go inside each service and under the Service Commands click Re-schedule the next check for this service. After completing hit the Services button on the right side of the screen a few times and you should be golden. Thanks to awaseroot for the great article which was the best resource to fix this issue. External Commands not working on your Nagios system? Have no fear. Follow the very clear instructions here - http://askubuntu.com/questions/145518/how-do-i-install-nagios If it still doesn't work be sure to check your permissions of both the /var/lib/nagios3 directory and the /var/lib/nagios3/rw directory. If in doubt change the permissions to 775 on both directories just to see if it works and set it back to the requested permissions in the instructions once you get it working.